Richard and Sandra Carter have been raising alpacas for fifteen years now and can truly say it has been a really wonderful and rewarding experience. 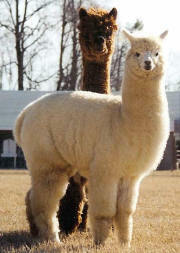 They were first introduced to alpacas by a magazine advertisement that read “huggable tax investment”. Sandra really liked the huggable part and Richard loved the tax part. So they started their alpaca adventure searching and finding these beautiful creatures. Much to their amazement, they did not have very far to travel since they found several farms in Virginia that were already raising alpacas. They visited three farms and found a delightful couple that had the most beautiful alpacas that they had ever seen and they were from the top genetic lines so they purchased their first two girls. There are no words to describe the excitement of having your first alpacas arrive at your farm and the alpaca journey is just beginning. 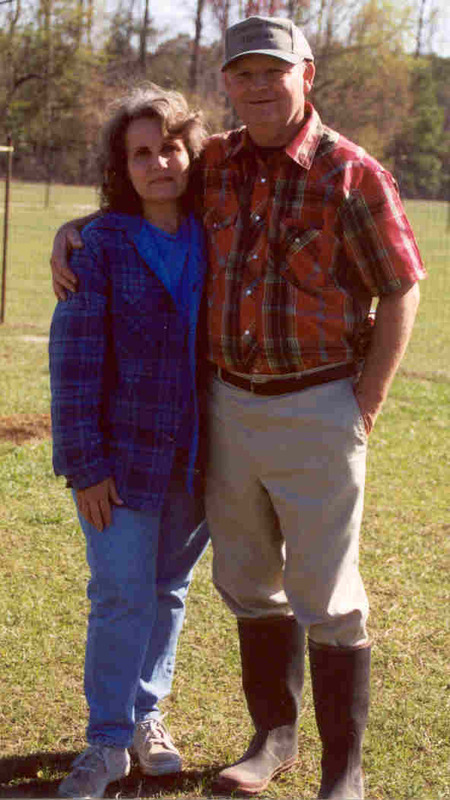 Since the Carter's had been breeders of pigmy goats for the past twelve years they were already familiar with the health management and training of animals. They have always believed strongly in starting with conformationally sound breeding stock. With alpacas, if they are not conformationally sound, then they will not purchase them no matter how great the fleece or coverage. Excellent conformation will enable the alpacas to carry the dense heavy fleeces that they are breeding for and also will enable the alpacas to live a long and healthy life. Their first alpacas were from the genetic lines of Hemingway and Drambuie and they have never looked back with regret. They have not relied on show winning statistics but have done extensive research into which lines of genetics have consistently produced the highest quality fleeces on conformationally sound alpacas. They strongly believe in the future of alpacas in our country and look forward to introducing the highest quality alpacas into the industry. With structurally sound alpacas producing dense, lustrous fleeces, how can you go wrong! The alpacas will greet you each morning with beautiful faces and most evenings will perform a graceful show of pronking in the pastures and frolicking with each other. Watch our girls demonstrate pronking by clicking here. Kisses abound to greet you or to thank you for that sweet delicious hay, that cooling spray of water in the hot summertime, or just to say you are my special mom or dad. Alpacas are beautiful for the eye to behold, calming and soothing to the spirit within, warm and cuddly to hug and so much more. 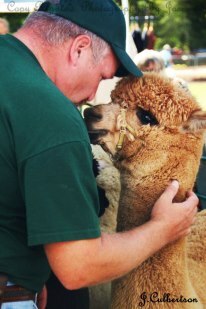 We warmly invite you to schedule a visit to Clearview Farm and Ranch to experience the amazing world of alpacas.